More than 90 per cent of the pool and spa sector could be missing out on HMRC tax refunding for their research and development, claim industry specialists. Designed to increase both the quality and quantity of UK research and development, the Government’s R&D Tax Credit Scheme rewards companies for carrying out technically challenging work. Companies can expect between 25 and 33% of the costs of their R&D refunded, over a two-year retrospective period. The scheme can provide a significant financial benefit for businesses who demonstrate technological advancements in their industry, however many in the Pool and Spa sector are not tapping in to this huge windfall. “We estimate that over 90% of companies in this industry are either not claiming or not claiming to their full potential,” advises Tom Chandler, Senior Commercial Executive for innovation funding specialists, Leyton. Leyton are looking to raise awareness across the water leisure industry and partner with businesses to help fund their innovation more efficiently. Tom commented: “If any company is bringing a unique product to market or delivering bespoke and challenging projects, a significant proportion of their development costs can be reclaimed, so the scope for qualifying companies cannot be underestimated.” Additionally, if a company’s innovation can be attributed from one project and the same development is applied to other work, then it is also worth exploring the costs on the entirety of the work. “Pool and spa designers’ work is so bespoke and innovative that a huge proportion of their work qualifies under the scheme,” adds Tom who reveals that claims typically range from £20k to £200k. Charging a percentage on successful claims, Leyton offers an initial 15-minute diagnostic discussion that aims to find latent potential and unlock opportunities to create value for the client. “Due to our highly experienced technical team and unparalleled knowledge of HMRC legislation, not only can we help companies who are not already claiming under the scheme, but we also offer our services to clients who have existing claims through their accountants. In this case, we carry out a health check to effectively review their process and identify any missed areas of the claim. For companies who are already claiming, on average we are able to improve claim values by 41%” Tom confirms. Leyton typically look for a total expenditure of at least £150k in either PAYE staff salaries, sub-contracting staff, software licenses, consumable bills and any material costs involved in the project. “The timeframe from our initial consultation to the company receiving the tax rebate/corporation tax reduction is typically two months, with client involvement usually accounting for just three to five hours of work for a potentially lucrative return” explains Tom. 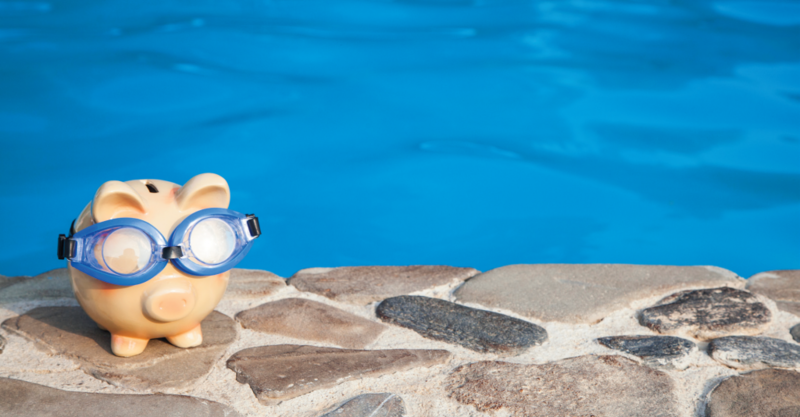 In an industry brimming with innovation, businesses in the pool and spa sector should act now to ensure they don’t miss out on the tax benefits available to them.